Volkswagen has unveiled a surprise concept car at this year’s Paris Motor Show – a motorbike-engined sports car based on the XL1. But while the XL1 is an economy-focussed diesel hybrid capable of 313mpg, the XL Sport boasts a high-revving Ducati engine. In fact, the V2 from the Ducati 1199 Superleggera - the most powerful two-cylinder motorbike in the world. Here, the engine revs up to 11,000rpm and has been modified to produce 200PS. 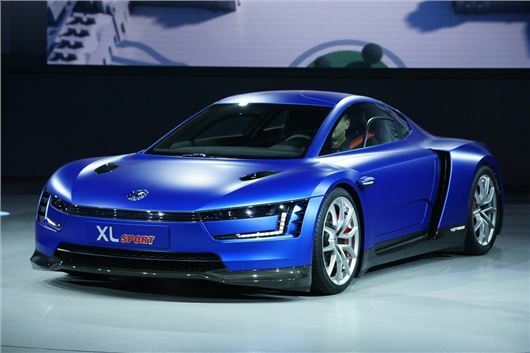 Mated to a seven-speed DSG gearbox, the XL Sport can hit 62mph from standstill in 5.7 seconds with a top speed of 168mph.